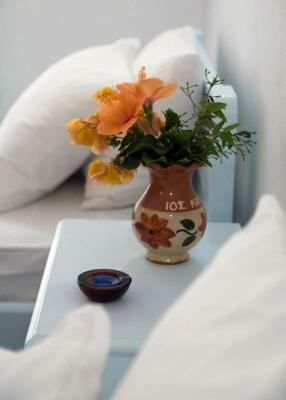 Lock in a great price for Faros Hotel – rated 8.2 by recent guests! The room was very clean and comfortable. 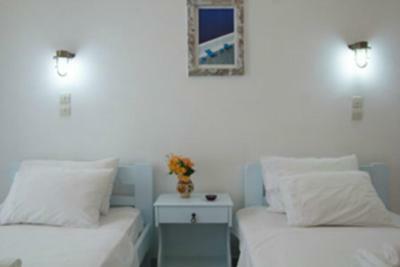 The hotel is in good location (close to port and pedestrian to the village). The owners are very friendly. Very nice place with a beautiful view and a large balcony. 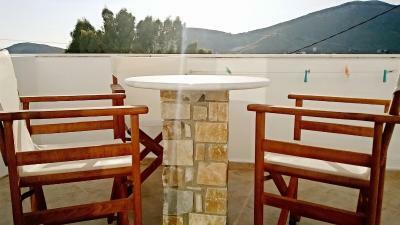 Near to the port and for party harder near Chora and Mylopotamos with a bus stop for both the destination. The staff were very nice and kind with us. The location was near the port 3 minutes by walk. 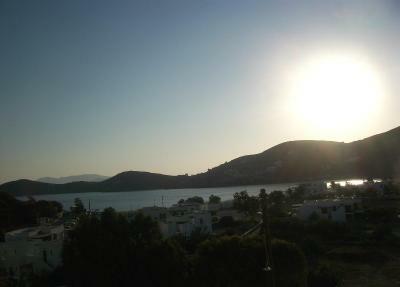 Room with big balcony overlooking Ios bay, convenient location, rooms cleaned every day, friendly, helpful staff! The staff were so nice. 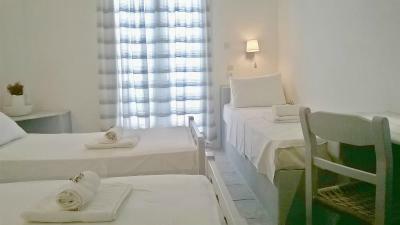 Location is perfect too, so easy to take buses to get to beaches or up to the main town part. We fell in love with Ios! Great location not far from the nearby beach. Well equipped room complete with air-conditioning and a balcony. Clean room and great views. Very clean and good value for money. 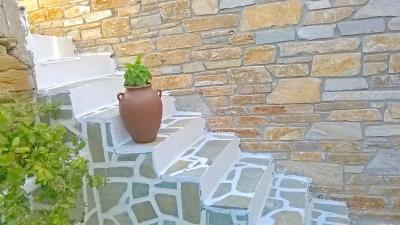 Short 5 minute walk to the beach and 15 minute uphill walk to Chora. Close to the bus stop to far out and other places around the island too. If you have a room with sea view it will be amazing. The balcony was very good and like I said, the sea view was fantastic! Owner of the hotel was nice and the room was clean every day. Close to beach and we saw the ferries which arrived to the island. 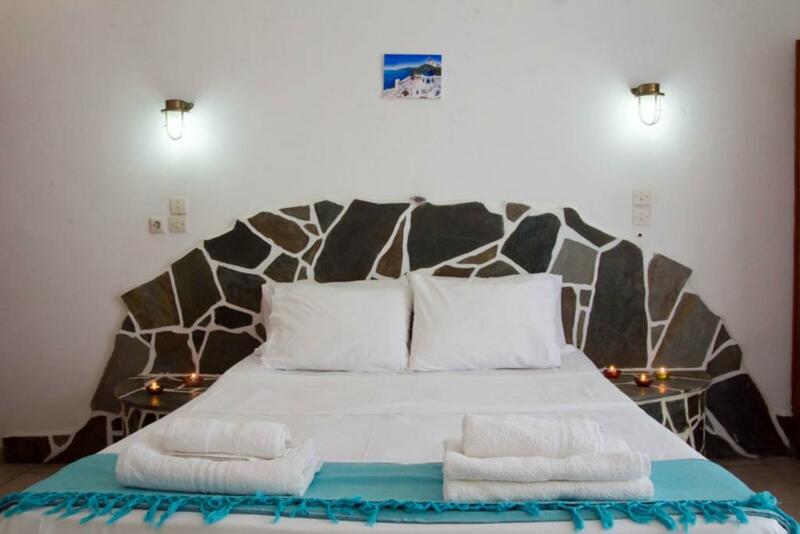 Faros Hotel This rating is a reflection of how the property compares to the industry standard when it comes to price, facilities and services available. It's based on a self-evaluation by the property. Use this rating to help choose your stay! 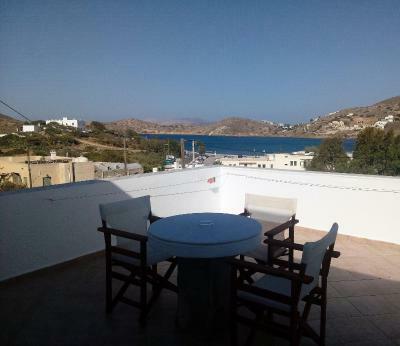 Faros Hotel, offering a splendid view of the bay, is located in the picturesque island of Ios, between the beautiful Ormos and Chora, only 350 feet from the sea. 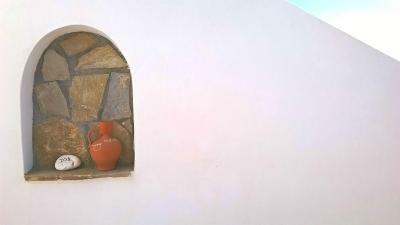 Built according to the Cycladic architecture, Faros Hotel offers a café lounge area with TV where guests can enjoy a continental breakfast on request. 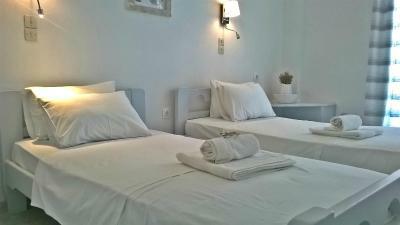 All rooms are equipped with air conditioning, TV and refrigerator. 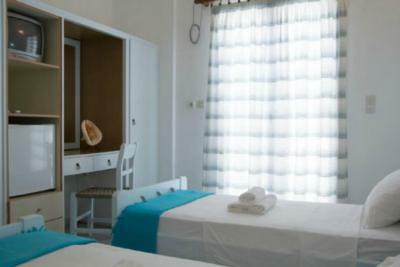 Each guestroom offers a private veranda facing the sea or the backyard. The bus stop is conveniently located next to Faros Hotel, thus providing quick and easy access to the rest of Ios and its beautiful beaches. When would you like to stay at Faros Hotel? 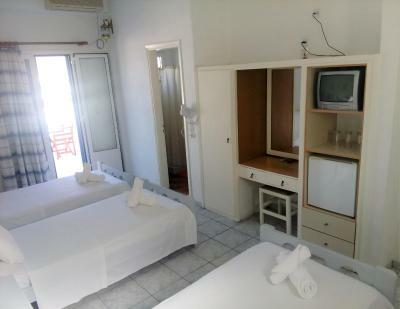 Double/Twin rooms with sea view or view of the back of the hotel with yard. 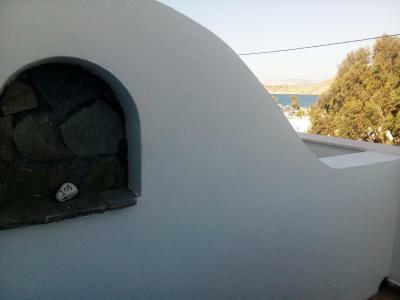 This triple room has a sea-view balcony. This room opens to a patio. Kindly note that this room type does not offer sea view. 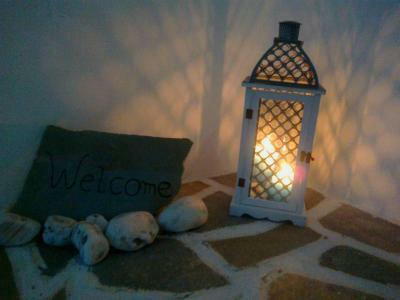 House Rules Faros Hotel takes special requests – add in the next step! 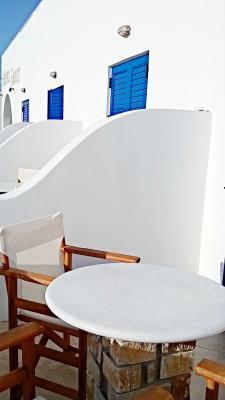 Faros Hotel accepts these cards and reserves the right to temporarily hold an amount prior to arrival. Please note that shuttle service are arranged from/to the Port. Please get in touch with the hotel as to arrange all details. Bathroom a bit too small. Shower head kept falling off. Shower was disappointingly small and not well kept. 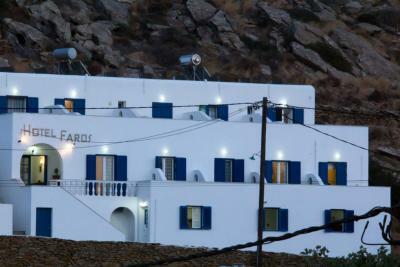 The owner was unfriendly to us during our stay despite the fact that we did nothing to him or his hotel. Upon entering the hotel he gave us a stern lecture on the prohibition of 'parties' in the hotel, which I thought was a bit over the top. He also became quite agitated and shouted at us when we had just one other friend come over to visit. We went there in August. The room prices were high because of the high season. 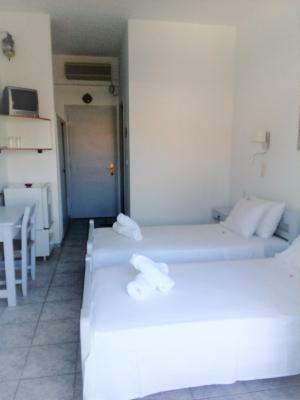 The room did not have a safe as noted in the booking, nor did it have blankets, just a single thin sheet on the bed. We froze during the night. 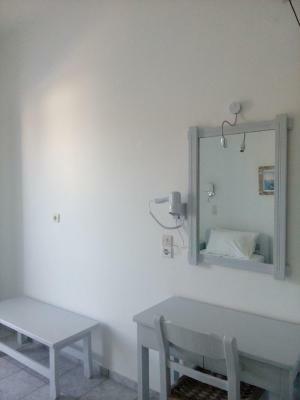 The place was affordable and close to the port. 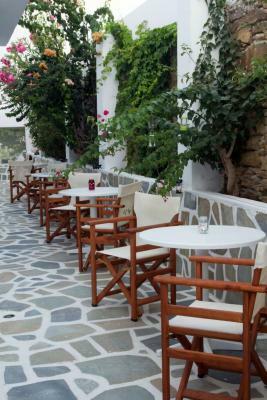 The location of the hotel was perfect, close to the port and to Chora. We were also picked up from the port. 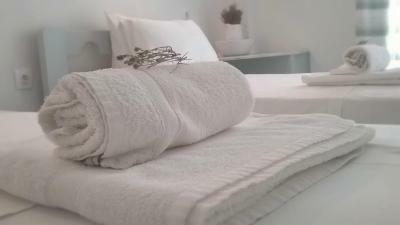 The hotel was really clean and the service was excellent. The owner and his family were really friendly and helpful and available at any time. Would definitely recommend it. Thin walls which resulted in a few wake-up in the nights due other guests was a bit loudly. Ios is a party island and I think it will be calmer in low season. The bathroom was ok, shower didn't worked properly.